A candid conversation about allyship, our community and how to move forward for women who work in the music industry. 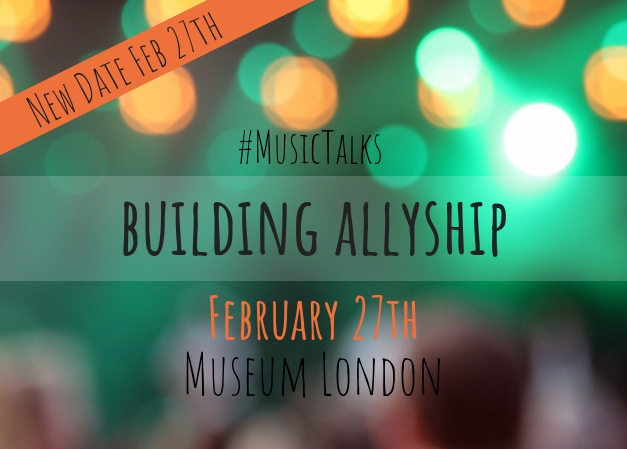 This program is in partnership with the London Music Office. Norma Coates Associate Professor at The Don Wright Faculty of Music & Faculty of Information and Media Studies at Western University. Mercedes Caxaj is a world traveler with continuous contributions to the local community through multiple arts and non-profit organizations and festivals including London's own TD Sunfest Canada. Sum-01 kicks raps over dope beats. Her style; has yet to find a box to fit in. Her image; unique all to her own. Her influences; strong female emcee's from the early 90's. Marty Kolls a multi-instrumentalist / singer songwriter based out of London ON. For the past 25 years, Marty has been writing music in just about every genre and form ranging from metal to folk. Savanah Sewell is a co-founder of The Grickle Grass Festival, Winter Spectacular and London Girls Rock Camp. Her production days have led her to The Toronto International Film Festival, Way Home Festival and a long list of arenas, club shows and most currently the Manager of Dundas Place.